CBSE private candidate admit card - padhaee "
CBSE private candidate admit card – After filing the examination form for either 12 th Compartment exam, or Improvement exam, Failed Exam, Additional Subject or Female Candidate before December month which is the last date for submitting the form with late fees.In the month of February end or March first week the admit card will be released online. 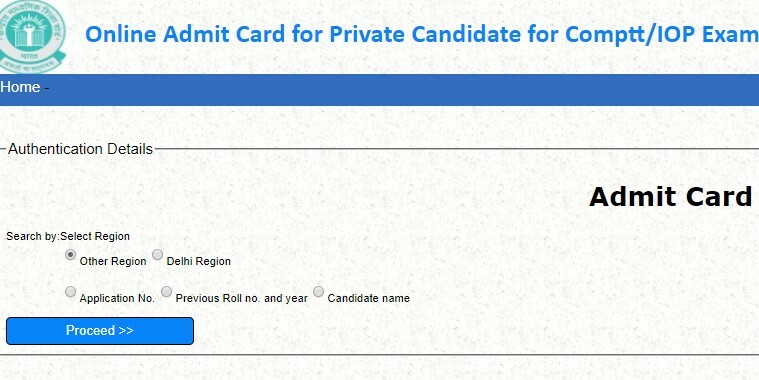 On the online admit card website, there is login option for Delhi region and All over India Region.You can log in with application number or candidate name. Once you log in you will be able to access details like parents name,examination center venue address and name,subjects applied for,the dates of the subjects and other details. Once downloaded from the link below, you need to print it out and take it along for all the exams.